i probably will wreck it before i put my camera on. besides i don't want to damage any structural integrity with unneeded holes. also the camera weighs almost nothing without the waterproof case. it is one of those cheap chinese knockoffs. 50 bucks on amazon came with so many attachments and such. like 200$ of mounts if you were to buy the real gopro ones. i think i will just glue a couple chunks of metal up in the nose and do pusher. Okay Daniel you wanted to hear my rocket story so her it is. This one was not the one that was involved in the main incident. I can't find the picture of the other one but it was a skinny red rocket with plastic light grey fins. It had a small clear "cargo area" just like the skytrax. So my stepfather and I went to the field and launched the skytrax with a B size motor just to check how the wind would blow the rockets. The B size motor went fine with both rockets. Then came the C sized engine. I loaded up the skytrax with it and got it on the launchpad ready to launch it, pushed the button and off it went. It almost got caught in a tree but it landed just over the fence in someones back yard at the other end of the field. I used a stick to get it back over to the field side of the fence. That rocket only goes to 700 feet, but I forgot to put anything into the payload are. So like most young boys do, I caught a bee and loaded into the red rocket, which on a c motor should go to 1000ft. And the parachute was so damaged it was more of a streamer at that point. So I had put it on the pad for it's fifth (and final) launch, with our new astronaut. I pushed the button and it got so high that I lost sight of it for a second, and I was sure that it was completely gone. Never to be seen again. None the less I knew where it would go when it did land, so we searched for it, but there was no luck, so we went to go home. Then out of the corner of my eye I thought I saw a grocery bag in a gutter, then I saw something red attached to it. It was the rocket. So my step father and I went up to the door and knocked. The lady who lived there was nice and let us use her ladder to get it. The rocket tube was completely totaled, and it will never fly again, but our astronaut is still inside. So I peeled the tape off of the nosecone and let him out. He was a little confused at first then the second he realized that he could leave the tube of terror he booked it, and was completely gone in a few seconds. THAT IS AWESOME!!! hahahaha!!!!! i have never had one with a payload bay. those are fancy first rockets!! well at least you recovered parts of it! my first 10 or so rockets never came home. now i spray paint them bright red and apply reflective tape. highest one i have ever done was about 1,250 feet with a c engine (supposedly) probably less with all the paint i added. i recovered it. a funny one was when i was laughing at the VBS at church. it went with the theme and was a cool thing for kids to watch on the last day. one of the rockets, called the athena, well, i did something wrong and it blew up. the tube fell on the other side of the field and the parachute blew far away. kids chased it but it was long one. didnt find any of it. kinda funny. 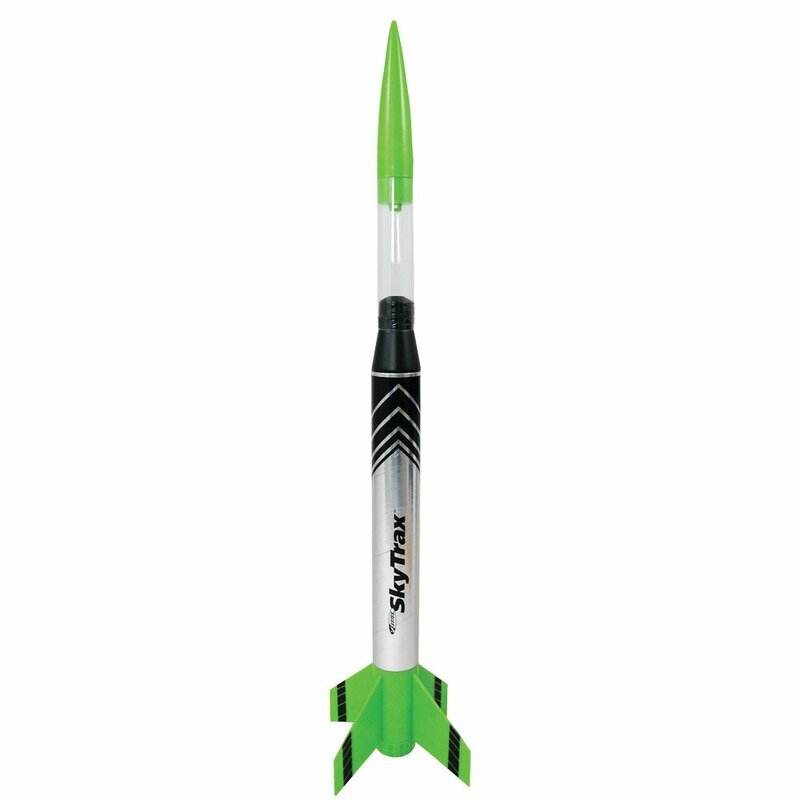 My favorite rocket however is one I built using an aluminum foil tube and some balsa. i will have to try designing and building my own rockets sometime. what you mentioned sounds a bit on the heavy side but definitely sturdy. 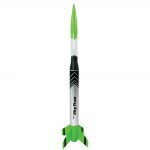 You can find plans for all the old Centuri and Estes rockets online. It's great fun super sizing some old classic to run on multiple engines or one of the new "Hi Power" rocket motors. Just try not to rip the fins off. that is very interesting! thank you! Here's my worst and most painful crash. I don't know if I learned a lot from this, other than don't get too comfortable with any airplane, no matter how good it flies. This is my Maxford USA Stearman. I've actually rebuilt the fuselage to about 95%. Still need to repair the wings, but with a bit more work (one of these days ) she will fly again. Skip to about 4:50 to see the carnage. Or, if you want to see what a lovely airplane it was :black_eyed:, watch the whole thing. I think the one thing, besides cg checking, that crashes have taught me is to never depends on the ESC ubec, but always use a separate ubec for any plane I care about. I have had a few fall out of the sky because the ESC got low voltage and turned the radio off. i like to land at 3.7v bc then i, a) dont have to storage charge and, b) have less time in the air so less time to crash! but that is a good tip. should i make a parallel adapter for ope battery to power both my esc and bec for rx? also what brand esc does this just for future reference? I haven't had any horrific crashes that weren't part of figuring out a prototype. My Jenny had a painful life. She really taught me the real-world ramifications of a light wing-loading. She was also a lover of the rudder. Once I finally got her to behave she flew nice. You had to use rudder for turns and fight the roll with ailerons. Don't get to slow or she stalls, don't get too fast or she'd climb for the heavens and then stall. Don't lift the nose too much in a turn or she'll spin in. Just like the real thing! Next time I build a Jenny it will be a little less "scale"
Wow that stall in the end. That biplane was very beautiful, hope you managed to repair it! The first time I got into RC planes was close to 10 years ago. It was my first or second time flying my $2-300 RTF Parkzone Cub 3-channel. The plane had gotten caught by wind. It was flying dangerously close to power lines, so I cut throttle and let it crash. It crashed in a road. It was a fairly busy road, but cars were avoiding the plane. It looked to be in fairly decent and repairable condition. Then it was promptly run over, and obliterated. I don't know if anything from that set could have been salvaged, but at the time I assumed it wasn't. I never even considered buying another until I came across Flite Test and found how cheaply I could get into it. I nearly lost my gremlin quad, lost orientation and couldn't get it back over the field. (3rd flight on acro) I was going to cut it as per my SOP, but I thought, it looked over a road. thinking of the exact scene described above. So I let it drift a while into the thick woods. I learned I should have someone in the goggles. if I'm doing LOS. and don't trek into the NC woods with shorts and a t-shirt on. The woods come equipped with monster teeth. in the form or 1" prickers on the tree trunk aside from the pricker bushes. That thing is resilient...and those woods are mean. the second one iepes! right in the muck! third one surprised those geese didnt rip it to shreds! very cool plane! been looking at building a biplane sometime. plans anywhere or still in the prototype stage? i know all about the thick underbrush of forested areas.... almost lost an electric powered free flight plane in a bad place. i had finally trimmed it out and by this time i had stopped recording (sadly) battery was low and i was getting tired of it crashing. well of course this would be the time it catches a thermal... up, up, up as thermals do... mind you, this is during a sea turn. for those of you not on the coast its a big change of temperature and air currents and a ton of heavy fog and mist comes off the ocean. so it was barely visible. im soaked. running across a field carrying a battery pack used to charge it. it is circling one way. almost lands in a tall pine. STARTS CIRCLING THE OTHER WAY. misses the pine. i think its going to come back but things never have a happy ending like that. it drifts right BEHIND the tall pin and lands 3/4 the way up some other tree behind it. so i proceed to climb that tree all soaked and slippery while my dad tries to navigate me to the branch to shake to get it down. so i finally get to it and i shake it and it falls to another one... as it goes... and another.... then finally down. so now im clinging to a wet tree branch 20 feet in the air (at least) all covered in thorns and prickles.